Heart failure, which is not to be confused with a fatal heart attack, describes any condition that prevents the heart from pumping blood around the body effectively enough. 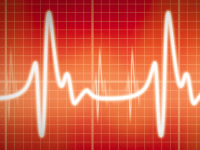 Around 70,000 people are diagnosed with heart failure in the UK each year. Heart failure becomes more common as we age, affecting around 1 in 7 of people aged 85 or older. Heart failure can be caused by a number of different problems and having more than one of these contributory factors will increase the risk of heart failure occurring. Treatments for heart failure can vary depending on the root cause or causes. Keeping blood glucose levels tightly controlled - research has shown that reducing HbA1c by 1% lowers the risk of heart failure by 16% in people with type 2 diabetes.